The beauty design of Japanese style confection is made by GYOKKADO that is located at IWAKI, SHIZUOKA prefecture. GYOKKADO has over 120 year’s history for Japanese style confection making. 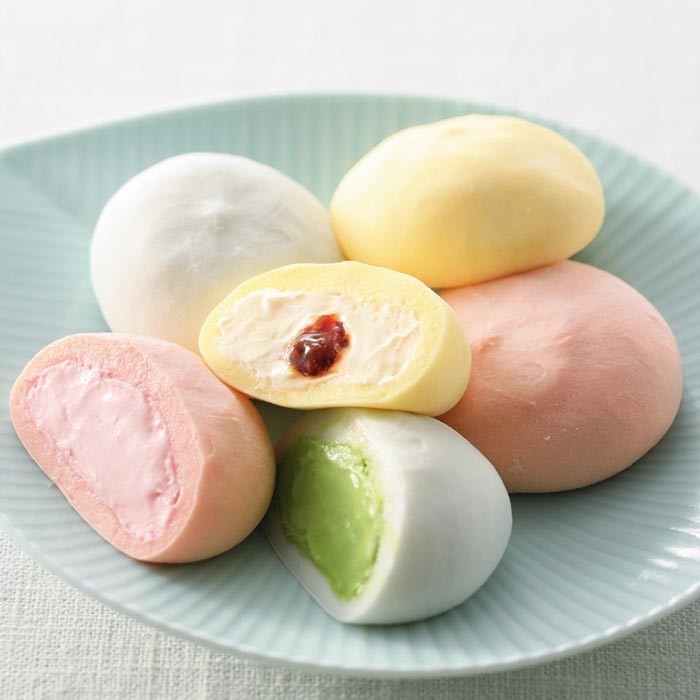 It is made of fresh cream filled in rice cake and the tasting is not DAIFKU and MARSHMALLOW.